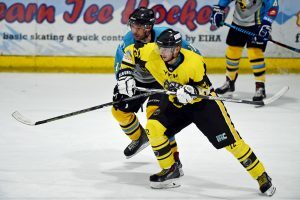 The YKK-sponsored Widnes Wild will have learnt a lot from their first outing together as team for the new season following a 2-9 defeat by last season’s league champions Sutton Sting in a challenge match at Planet Ice Widnes on Sunday. To be honest, the result was never going to be the most important factor, bearing in mind that the Wild were up against a team that has been put together to play in the higher Moralee Division for this season and who have already played several pre-season matches together. Wild player coach Ollie Barron will have been more interested to see how his new signings are fitting into the team with a view to a bit of fine tuning ahead of next weekend’s league opener against Sheffield Senators. 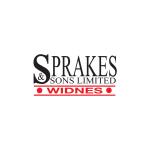 Widnes gave debuts to 7 new players in the game – including new import duo Jakub Hajek, who scored a goal on his debut, and fellow Czech countryman Michal Novak. Young Daniel Fay – newly arrived from Bracknell – notched up an assist in his first Wild game and went on to be named Most Valuable Player, while Scott Cooper with lots of Moralee Division experience with Solway, Whitley and Billingham and Ross Jordan who played last season in the SNL with Edinburgh Capitals – also look to be good acquisitions. Young netminder Luke Wilson Owen took over from Matt Croyle in goal for the second half of the game and made some amazing stops, keeping out 19 of the 22 shots he faced. The other new face in a Wild shirt was actually a returnee. Chris Gee had previously played for the Wild in the 2015/16 season before moving on for spells with Deeside and Blackburn, so he should fit in well with his former team mates as the new look Wild side continues to gel together in the coming weeks. As far as the game went, Widnes actually scored first with Ollie Barron finding the back of the Sutton net after just 4 minutes. The lead lasted 5 minutes but then the Sting hit back and took the lead with two quick goals, adding a third in the 16th minute. A debut goal from Jakub Hajek made it 2-3 heading into the first break but that was as good as it got for the Wild. The second period saw Sutton scored 4 unanswered goals – three of them powerplay goals within the space of two minutes of each other – and that pretty much settled the game. Apparently, match officials have new guidelines that they have to follow this season and the referee explained that many of the penalties that the Widnes players picked up during the game would not have been called as penalties last season – so that is another area that the team will need to focus on as they prepare for the new Laidler Division campaign. The third period was a much closer, tensely played out affair and it took until the 50th minute for the Sting to score their 8th goal. A 9th followed with 90 seconds left on the clock while the Wild had two men in the penalty box and the game finished with the score at 2-9. The league season starts next Sunday when the Wild entertain Sheffield Senators in their first Laidler Division fixture at Planet Ice Widnes. Face off is at 5.30 and doors open at 4.45 pm. The MVP awards were presented by Matty Barlow who played for the Wild last season but is unable to rejoin the team this season as he has won a scholarship to play in Canada, which is obviously a great opportunity for him to develop his game in the best of environments.